Count two more names as officially entering the mix for the UFC middleweight championship. 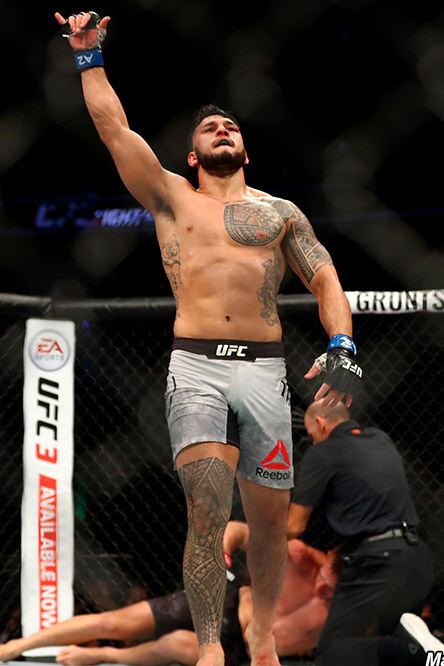 Following this past weekend's UFC on FOX 29 event, which took place Saturday at Gila River Arena in Glendale, Arizona, both Brad Tavares and Antonio Carlos Junior have thrown their names into the title picture as young up-and-coming 185bers on impressive win streaks. Starting with Tavares, it's amazing that this guy is still only 30 years old, which makes him one of the younger fighters in the Top 15 of the UFC middleweight division. 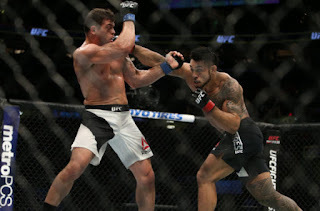 The Hawaiian debuted with the UFC back in 2010 following a stint on The Ultimate Fighter and has since racked up a 12-4 record inside the Octagon, with a massive knockout win over Krzysztof Jotko at UFC on FOX 29 extending his win streak to four straight fights. Since a brutal knockout loss to current UFC Middleweight Champion Robert Whittaker in 2015, Tavares is 4-0, with wins over Jotko, Elias Theodorou, Thales Leites, and Caio Magalhaes. I personally never thought of Tavares as more than a gatekeeper given his grinding style, but I have changed my tune in recent fights after seeing significant improvements from him in those bouts. After picking up his first knockout win since 2011 over Jotko, I think it's fair to say Tavares is a pretty dangerous middleweight and someone who is banging on the door of the Top 10 right now. Junior is in a similar boat. After winning The Ultimate Fighter Brazil 3 by taking out Vitor Miranda, the 28-year-old Brazilian struggled in his first few UFC fights, losing to Patrick Cummins and Dan Kelly, plus having a No Contest against Kevin Casey, with his only win in that timeframe over a smaller fighter in Eddie Gordon. At the time it looked like he wasn't going to amount to much inside the Octagon. But that ugly loss to Kelly really seems to have lit a fire under Junior, as he's since won five straight fights, with four of those wins coming by submission, including a dominant tapout win over Tim Boetsch on the UFC on FOX 29 preliminary card that immediately puts Junior into the Top 15, and, like Tavares, banging of the door of the Top 10. Also like Tavares, Junior has seriously improved, and he is ready to emerge as a top contender at 185 lbs. Right now, the UFC middleweight title is due to be defended by Whittaker against Yoel Romero, but after that, there's a lot of room for shuffling in the Top 10 of the division. 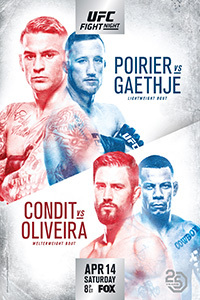 With former champions Georges St-Pierre, Luke Rockhold, and Michael Bisping out of the picture for good, it's now time for younger fighters like Whittaker, Tavares, Junior, and Kelvin Gastelum to step up and make names for themselves as legitimate title contenders. It's always nice to see fighters make serious adjustments to their games after they lose fights, and it seems the knockout losses to Whittaker and Kelly really changed Tavares and Junior, respectively, for the good. I'm excited to see where both of these guys will go in their careers, as it's pretty clear that the future of 185 lbs is very bright at the moment.